Professor David A. Arnall, chair of physical therapy at East Tennessee University, has lived with Diabetic Peripheral Neuropathy for 20 years. Arnall is a self-proclaimed professional skeptic. He believes in evidence-based medicine. Arnall, the skeptic, will tell anyone who will listen that he believes infrared light therapy for Neuropathy can restore sensation and reduce neuropathic pain like nothing else. After trying every available therapeutic option (including surgery) with no luck, he discovered infrared light therapy (LLLT), which has succeeded where all other treatments failed. 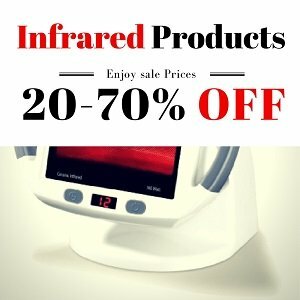 Jump to the best IR devices for Neuropathy – right now! 2 How Can Infrared Light Therapy Heal Peripheral Neuropathy? 4 Who Can Benefit from LLLT for Neuropathy? 5 When Can You Expect Results? Infrared rays are nothing new. They’ve been around as long as the sun itself, and you feel the infrared heat every day in the warming rays of sunlight. 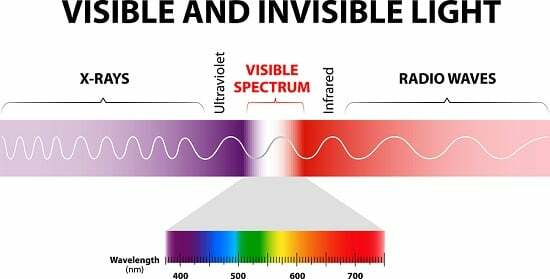 Infrared radiation is a type of electromagnetic radiation (just like radio wave or x-rays). Infrared (IR) light is invisible to human eyes, but people you can feel it as heat. In the last few decades, this energy is being harnessed (and concentrated) in a simple technology you can use anytime and anywhere to warm your deep tissues (including your nerves) – to melt away pain and inflammation. In fact, this simple technology (also known as MIRE therapy – monochromatic infrared light energy) delivers the most effective pain relief available without a prescription. All you have to do is sit back and relax for a few minutes while it goes to work soothing away your pain, numbing and burning. How Can Infrared Light Therapy Heal Peripheral Neuropathy? Nerves that carry messages to and from your brain and spinal cord from and to the rest of your body are damaged or diseased. Damage to these nerves interrupts communication between the brain and other parts of your body and can impair muscle movement, prevent normal sensation in the arms and legs. Not to mention – a lot of pain. Sometimes numbness can be so bad you can stick a needle and it won’t hurt. Other times it feels like someone’s hitting you with a crowbar, while at the same time passing a blowtorch across the same area. No matter the cause of your nerve pain (an injury, infection, diabetes, autoimmune disease etc.) – infrared light therapy is proven to help. The key to the dramatic relief LLLT brings is nitric oxide. Is Infrared Therapy Scientifically PROVEN to Work for Neuropathy? In 2006, 2239 people suffering from foot numbness caused by Diabetes were treated with infrared photo energy. About half of them were also suffering from Neuropathy pain (with a pain level of 7.2 out of 10). Numbing and sensation loss were improved by 66%. Pain levels were reduced by 67%. Can you imagine their relief? This is just one of the many studies proving Infrared therapy amazing ability in restoring sensation and relieving nerve pain. You can see many more studies here. You don’t have to spend thousands of dollars on FIR sessions. You can use infrared light therapy to relieve and heal your Neuropathy symptoms at home – Whenever you need it. We recommend using medical grade FIR equipment, such as the Anodyne Infrared Light Therapy Device, or you can try lower-cost alternatives, such as the DPL Light Therapy System. The price difference comes from the size of the FIR home device (the larger the device, the larger the treatment coverage), the number of LEDs (Light Emitting Diodes) and the device’s quality and durability. The Anodyne therapy machine (made in the USA) is a true medical grade 890nm infrared home system that was cleared by the FDA in 1994 and is supported by peer-reviewed studies. These studies were published in journals such as Diabetes care (proving efficiency for Diabetic Neuropathy) and Practical Pain Management. Anodyne was found to penetrate 200 mm into the body, which makes it excellent for nerve pain and other Neuropathy symptoms. It can cover large areas in your body (legs, feet, back etc.) 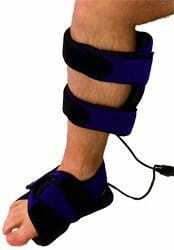 and has a hands-free operation so you can either relax during treatments or do anything else you want to do. The square patches (see image) size: 2 3/4 inches wide by 4 1/4 inches long. After purchasing, you’ll probably receive a phone call directly from Florida (where Anodyne is manufactured), making sure you’ve received it and full usage instructions if you need them. 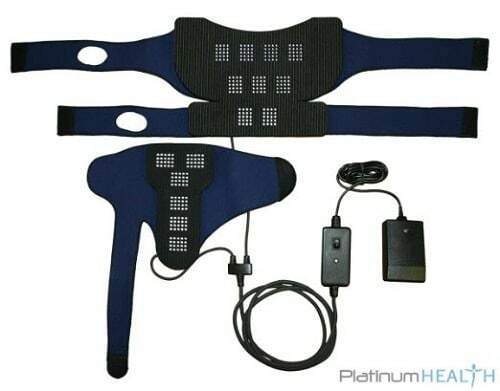 Price – the Anodyne Infrared Neuropathy home system is expensive, but it’s the only medical grade infrared treatment for home use in the market. If it can reduce your pain and numbing even by 50% (not to mention save your limbs) – isn’t it well worth the cost? Though it’s expensive, when I check this page I sometimes find good sale prices. If you find it for less than $1000 – it’s a good deal. The UTK infrared heating pad will cost you much less than the Anodyne, yet can be just as effective as a Low-Level Laser Therapy for Peripheral Neuropathy. It’s a flexible jade-stones infrared heating pad that you can wrap around any part of your body, and start enjoying the simple things in life again. The medium size pad is 31 by 21 inches, with 126 pcs premium natural jade stones. The jade stones emit infrared rays when heated. Plus, the pad releases negative ions that’ll elevate your mood and enhance your treatment. My research showed that the UTK pad has no EMF radiation. 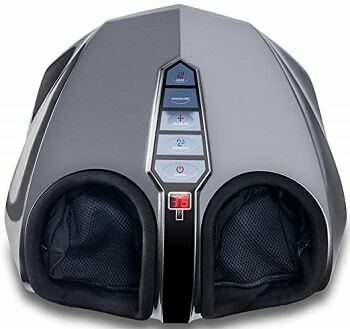 Our #1 recommendation for Neuropathy foot pain is an infrared (heated) foot massager. Combining infrared heat and Shiatsu or Vibrating massage is proven to reduce pain and numbing in your feet by more than 60%! Who Can Benefit from LLLT for Neuropathy? Infrared light therapy (also known as the cold laser) has been proven effective for nerve pain and sensation-loss, no matter the root cause. Physicians are simply not exposed to the healing effects of light therapy during their training, even though the benefits have been proven in over 1000 clinical studies. This is a partial explanation of why most of them are reluctant to recommend IR therapy. Cold laser is a novel field that will take time, especially in American medicine where most physicians focus on pharmaceutical treatments. With IR therapy, many people we know feel almost immediate pain relief, which lasts for about 6 hours. For others, the pain starts to fade away only after a week or two of daily use. IR therapy does not only mask the pain but speeds up healing. You may be surprised to find that your pain or numbness are completely gone – in long term. If you have any questions or concerns, let me know in the comments below. I answer every question. Improved foot sensitivity and pain reduction in patients with peripheral neuropathy after treatment with monochromatic infrared photo energy–MIRE. The restorative effects of pulsed infrared light therapy on the significant loss of peripheral protective sensation in patients with long-term type 1 and type 2 diabetes mellitus. Improved sensitivity in patients with peripheral neuropathy: effects of monochromatic infrared photo energy. Can these medical devices be used with a pacemaker. Everytime I read a solution (such as magnets in socks) it states not recommended with a pacemaker. Please give your thoughts. Thanks. I am no a doctor and I suggest your consult with yours. However, infrared light is not like magnets. Infrared wavelength is the same is the heat from the sun, without the UV rays. There should be no contradiction with pacemakers. Hi. I bought a near infrared bulb. How long should I target the heat on an area and how far away should the bulb be? Near infrared bulb should be placed about 12 inches away from the treated area, and you can use it up to 20-30 minutes. You can play around with it until you find the best position for it to feel comfortable. Good luck! I’m 3 weeks out on a neck and lower face lift. I am experiencing a good amount of numbness and have access to red light facial therapy at the spa I belong to. Would this help to “wake” the nerves up quicker? I think it’s a good idea, but I would check with my surgeon first. Good luck! can i use UTK Infrared Heating Pad on my head to improve the nerve flow in my head and to my brain? To improve blood flow (I don’t know of a nerve flow), it’s better to use the pad on your neck rather than your head. It’s generally recommended not to heat the head directly for more than 10 minutes. I’ve been using this exact system since June and have not experienced much relief at all. Occasionally, right after treatment, the bottom of my feet about 15% less pain. The next morning they are painful enough that I hate to walk. I also use Rebuilder 30 minutes a day after the light treatment. My doctor says it does not matter when you apply either product; the effect is the same. Any help with this would be appreciated. My impression is that my neuropathy is not due to a lack of Nitric Oxide or only partially related. I would try repeating the treatment once more every day. Sometimes the dosage is just not enough. Good luck! 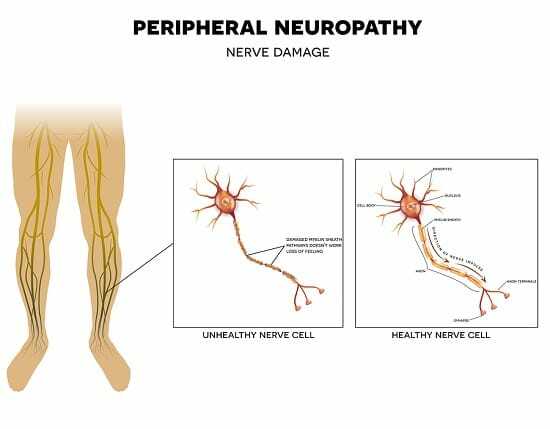 How is your neuropathy? I have SFPN (idiopathic/autoimmune) in my feet and now progressing to my hands. I’ve just purchased the ReBuilder and purchased the REDjuvenator infrared therapy panel in November (without much benefit). I was told to put my feet directly on the REDjuvenator which seems contrary to what I’ve read in some of these posts My feet felt like that had bee scalded after using it. I first tried 5 minutes with both feet on the panel (while stretch out on sofa) and then was told to increase to 20 minutes and that pain was good it meant healing was beginning. Not sure on that one. Anyhow, just curious if you’ve found anything that helps. You stuck with this longer than I did. I did it for 8 weeks and then stopped wondering what was going on. Try *Turmeric with *Black Pepper every morning for at least 2weeksand you’ll start to notice a difference. Add pure lemon juice for an extra boost. *Cold Pressed Coconut Oil is an added great ingredient for bioavailable too. Autoimmune ailments from *Leaky Gut take *Bone Broth, *Kefir. My husband has hardware in his back from two back surgeries for herniated disc and cyst formation. He has tremendous muscle spasms at times plus numbness and tingling. Does the hardware preclude this type of therapy. To my knowledge, this should not be a problem. 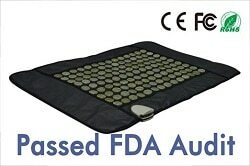 I have purchased Anodyne infrared therapy pads for my neuropathic diabetes feet. Could you please explain me the correct process of usage & duration of usage per day and how many days of usage will give me relief if you recommend that this therapy is really helpful. Your reply Will be helpful. 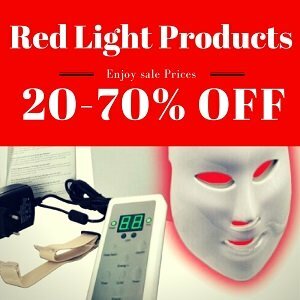 Do you have a list of clinics or facilities that use the medical grade Red and Infrared Light Therapy on small fiber peripheral neuropathy pain in feet that patients could try and discuss with therapist/acupuncturist prior to purchasing in home devices? I’m not even sure what type of medical professional might utilized this equipment as part of their treatment? Would it be chiropractic, acupuncture or physical therapy clinics? I don’t have a list but you can search in Google for clinics with infrared treatments for neuropathy. I know that acupuncture professionals and physiciansuse it, not heard of many physical therapists. I had total knee replacement 3 months ago which left me with a numb foot and pain in my knee. Can I put this on my knee with the hardware in there? I haven’t found research about this so I am not sure. Can you consult with your doctor? lymphedema. She’s a diabetic with unrelenting pain in her feet and ankles. She has to change leg dressings twice daily..How could she benefit from this LLT with these dressings? Could it be placed over a dressing or is an open area out of the question. No one knows what to do for her. It’s inhumane what shes going through. Please advise. I’m not a doctor and this is only my opinion: she can try and use it when she changes her dressings – for a few minutes. Also, infrared rays are experienced as heat, and the heat is able to penetrate the dressings. However, I would only do this after consulting with a doctor. I have several areas that I need to take care of and don’t know which product to purchase. 1. Ankle and 5 toes surgery both feet still painful and swollen 9 months later. 2. These surgeries have resulted in creating a different walking pattern thus very, very tight hips/hip flexors, a little inner knee pain and some lower back pain. joint bone has deteriorated over time by 50%. Seen in 3D X-ray by Orthodontist. I have neuropathy in my hips. Horrible. Which do you suggest for this? If the pain is located in the hip area – I would try an infrared heat lamp and point it to the lower back and hip area. Does Medicare cover any of these? According to this – http://go.cms.gov/2GVDVxk – unfortunately no. My mom had shingles and her pain was so bad she would get nauseated . She has had two visits to get LLLT and already feels a lot better. Today will be her third treatment! God bless who ever invented this laser for treating pain! She is 82 years old and I thought this was going to be the thing that ends her life! Now I am hopeful, Thankful! I’m thrilled to hear this Susie…this is why I write this blog, I want as many people as possible to know about this amazing natural technology. I’m sire with the next treatments your mom will get even better. I had an acoustic neuroma (vestibular schwanomma) removed in 2006. The surgery affected the occipital nerve that left me with facial pain (on 800 mg x 2 of gabapentin). Will I benefit from Infrared (LLLT) therapy? If so, where do I go (live in Woodbridge, VA)? The heat can relieve your pain, yes. I don’t know about clinics, but you can try home devices as mentioned in the post. I would also try, at first, to expose your face to sunlight, when UV Radiation is low (in the afternoon or morning) and see if it relieves your pain. Infrared light is basically sunlight – without the UV radiation that can harm the skin. I have peripheral neuropathy in both hips, ankles and feet caused by extensive cancer treatment. I am not in any pain but have a loss of sensation in some toes. Despite receiving some neurophysio sessions, my condition seems to be gradually getting worse rather than better. Do you think it would be beneficial to try light therapy? Yes, I think it can be very beneficial. Thanks for article Meital. I am trying to decide for foot, leg and hand neuropathy between dpl flex which has 40 and 20 of 660 and 880 i think it is and the revive which has more but can you tell me how deep each penetrapes? I think you say the revive has more leds. thanks. Both devices penetrate to the same depth because the wavelength is similar. The more LEDs you have the more powerful the treatment will be, and of course – more treatment area will be covered. For neuropathy I would choose the Revive or the Anodyne. I’m fighting a tooth infection in one of my molars, trying to avoid a root canal..
which would be the best product to get to this area of the body? if it’s a lamp, how close do I hold it and for how long? I have found an establishment where I can use an infra red sauna. How long should the treatment be for neuropathy at one go and how many times a week. I have very numb feet making it difficult to walk. I would try at least 30 minutes 2-3 times a week. But you have to see how you feel and listen to your body. Good luck! Thank you for your reply. I omitted to ask if the treatment applies to chemotherapy induced peripheral neuropathy? It seems that certain treatments work on diabetic neuropathy but there are no indictations anywhere of any successful treatment for CIPN. To my understanding, it doesn’t much matter the cause of the nerve damage, it works the same way. It’s proven to be able to regenerate damaged nerves. I think it’s worth a try, since it’s a gentle treatment with no long-term side effects found in the last 30 years. I hope this helps and good luck! My unit seems to not be very warm, but does gradually warm up, though never getting very warm, just mildly/moderately warm. Is that sufficient to do the job? How can I know whether it’s providing the infrared radiation my tissues need? It would help if you let me know which exact unit you have… I’ll check it out for you. I have numbness and pain in fingers, which is the best device to use? 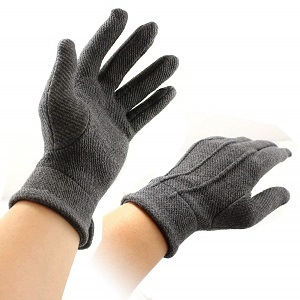 You mention infrared heated gloves. Are there infrared heated socks available ? Are you the seller of these products on Amazon? It appears so according to the statements at the bottom of the page. 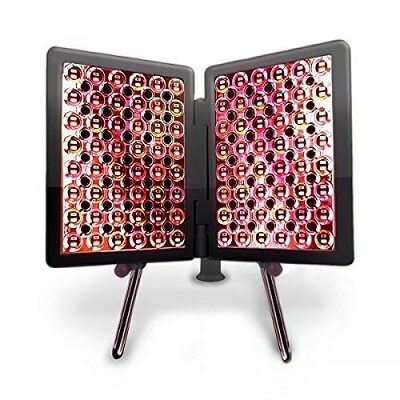 I’ve read a book about red light therapy and am wondering if you are familiar with the Red Rush 360? If so, is it inferior to the products you offer? Why/why not? Thanks! I am definitely not the seller of these products. I only review them. I am not familiar with the Red Rush 360, but I’ll look into it in the near future.